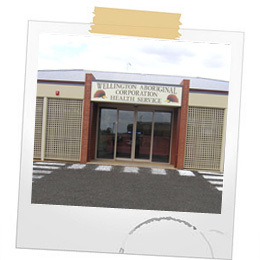 Wellington Aboriginal Corporation Health Service is on the land of the Wiradjuri people. Wellington is a remote rural community with a shire population of approximately 8,850 People of which 1742 are Aboriginal (2010 Census Stats). Wellington Aboriginal Corporation Health Service (WACHS) offer professional health services through specialist programs by staff either employed by Wellington Aboriginal Corporation Health Service or through partnership links with visiting services. WACHS is governed by a Board of Directors which consists of seven Aboriginal community members who are elected annually by the Community. The Board of Directors provides the strategic direction of the organisation and works in close consultation with the Chief Executive Officer to ensure that organisational, community and funding outcomes are being achieved. WACHS employs Ninety Staff including Visiting Specialists from Wellington and the surrounding Districts.